Ramsay Health Care is currently contracted to manage health services from Peel Health Campus until 2018. 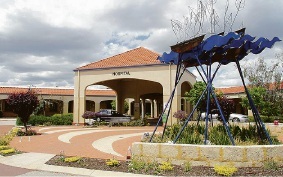 The company announced in 2013 it would be building Mandurah’s first standalone private hospital. The 75-bed, $45 million private hospital was set to be built this year on Lakes Road in Greenfields. Ramsay Health Care (RHC) is currently contracted to manage health services from PHC until 2018. A St John of God official told the Coastal Times it was waiting for the State Government to advise if it would extend RHC’s current contract to operate PHC, or go to market in an open tender. “If the government opens up the Peel Health Campus contract to tender, it is our intention to submit a proposal,” the official said. “We believe we have strong credentials. But the Midland Public Hospital has been plagued with controversy. The State Government had to find a way to provide additional contraceptive services because St John of God is a Catholic operator. St John of God refused to offer pregnancy terminations or contraception services at the Midland Hospital because they clashed with the company’s religious values. Contraceptive services include vasectomies and tubal ligations. Last year, the State Government looked for a private contractor to run a contraceptive clinic in a building detached from the hospital. St John of God stipulated any contraceptive clinic built near the hospital must have a separate entrance, a separate car park, with a separate fence and not to be connected to the hospital in any way. In a statement to the Coastal Times, RHC said it provided a range of reproductive health services. “Ramsay Health Care feels privileged to be serving the Mandurah community through the management of Peel Health Campus and will seek the opportunity to do so for the longer term,” an official said. RHC took over the management of PHC in 2013 after the previous contractor, Health Solutions, was subjected to a government inquiry in 2012. The inquiry was set up to investigate accusations of fraud and workplace bullying. Since RHC took over the management of PHC there has been comparatively little controversy.